In this day and age, sometimes it can be hard to stay authentic. Not for Heath Clark. Heath and his distillery are about as authentic as they come. I learned this as I was able to have the pleasure to talk with him over the phone about his bourbon, distillery, and his passion for the craft. This lawyer-by-day turned distilling master has taken his love for all things fermented, beer included, to a place that whiskey geeks like us can only dream of.Heath put his money where his mouth was (literally) and started up a distillery in Thompson’s Station, TN. In fact, he had to work to get legislation changed so that H Clark Distillery (HCD) could be the first legal distillery in Williamson County, Tennessee in over 100 years! I won’t lie, if I had the opportunity, I’d start a distillery in a heartbeat. Heath and his team work tirelessly (I’m talking buckets and fire tirelessly) to make a small amount of spirits (only 100 gallons at a time), but to make them really well. You don’t get much more authentic than that at a distillery. Everything they put in their bottles was mashed, distilled, and bottled at their distillery. At HCD, they started off making Dry Gin and New Whiskey, a white dog whiskey offering. Talking about the New Whiskey was one of the most interesting parts of my call with Heath. They took a long time to get the New Whiskey right, as it tasted too much like vodka for his liking. After making some changes, Heath and team were happy to say that the New Whiskey tasted more like an oatmeal stout, which was a nod to craft beer fans. After Heath’s brother-in-law did his fiddling with the New Whiskey, which involved extra oak in the barrel, their Tennessee Black & Tan was born. If you haven’t had the Tennessee Black and Tan you should pick it up. It’s about half the cost of the bourbon and really good! 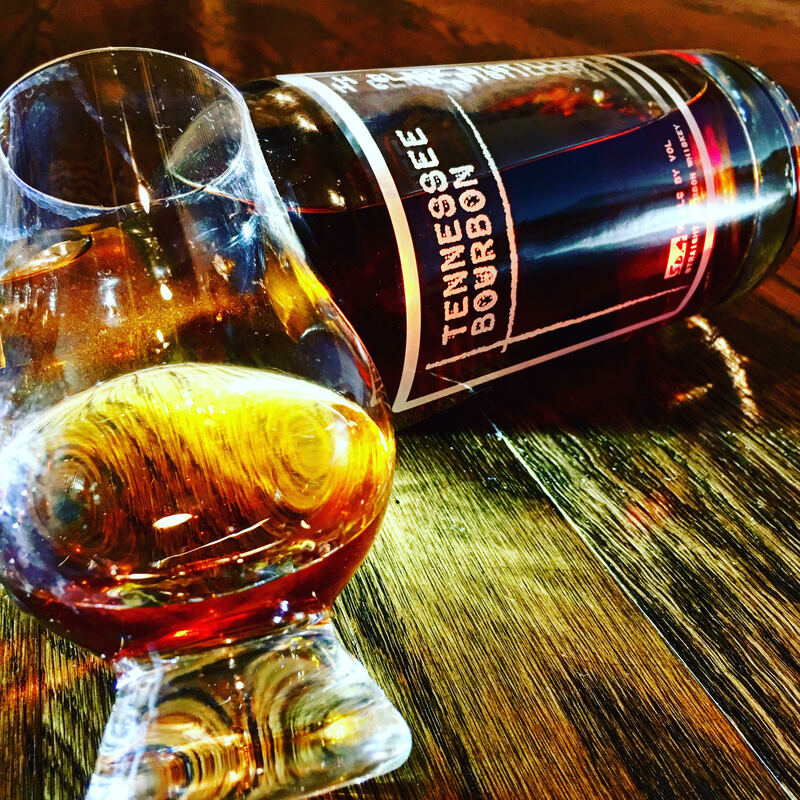 Let’s move on to what we’re actually supposed to be talking about… Tennessee Bourbon?! That’s right, HCD doesn’t get scared to call their whiskey a bourbon in the Volunteer State. This bourbon may be the greatest smelling bourbon from the bottle I have ever had the pleasure of smelling. Seriously, I’m not lying. Ask my wife, I can’t stop talking about it… The smell is like candy. Almost a toffee, caramel, and tobacco candy. If you are lucky enough to have one of these bottles, try the nose out directly from the bottle instead of a glass and you’ll understand. The nose definitely is not one of a bourbon that was only aged 2 years. This bourbon smells like a whiskey that is wise far beyond its years. On first pour, there is a spicy heat that is felt to the top of your mouth, but doesn’t take a journey down your throat. However, if you let this one sit for a day, the burn is much less apparent than on the first pour. Honestly, after letting this one sit for a day, it tastes much more like a mature, smooth bourbon. Once the spice leaves you, your mouth is coated in a smooth layer butterscotch, toffee, and tobacco. The spice is to be expected as this bourbon packs a little punch at 100.8 proof! In addition, the mash bill is 70% corn, 15% barley malt, 8% wheat, and 7% rye which contributes to this great taste. Although the first 3 batches have been aged for 2 years, Heath explained that not every barrel is ready at 2 years and he is not afraid to hold them back. In fact, eventually he wants to hold every barrel back to four years so he can say his bourbon is bottled in bond… How’s that for authentic?! Overall Verdict: Buy it. You may be complaining about the $80 price tag, but how many of you can say your bourbon was made a distillery with buckets and fire?! Unfortunately, it’s only really available in the Mid-TN area, but if you ever make it this way, buy it. And, once it goes Bottled-in-Bond, buy two! An extra shout out goes out to Heath who happens to be the one of the true “Dads Drinking Bourbon”. On a side note, stay tuned. I talked to Heath about heading down to HCD and getting a little more in depth about his distillery and the hard work that goes into it. Once we get it scheduled, I’ll let you all know and we can’t wait to do our first distillery spotlight! I’ve not seen this anywhere!!! But based on this review, as soon as I see it, I’ll pick it up!!! Definitely some high praises for this one from you! And I’d love to see his distillery too!! It’s in Williamson County and he happens to just be a really great guy on top of making great bourbon and gin!